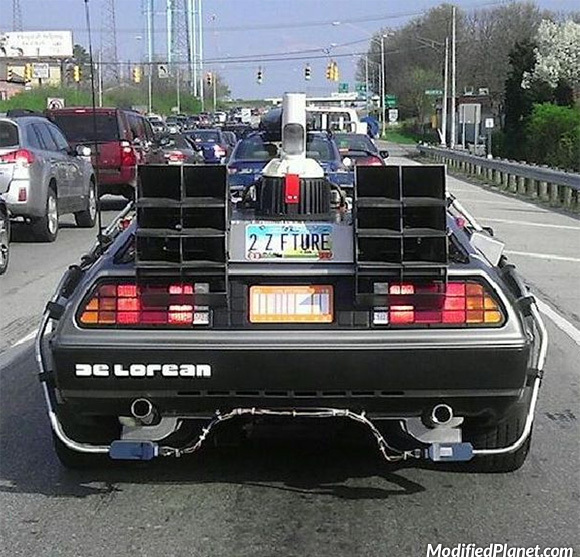 The time machine from Back to the Future was spotted stuck in traffic. Guess it wont be getting to 88 mph anytime soon. 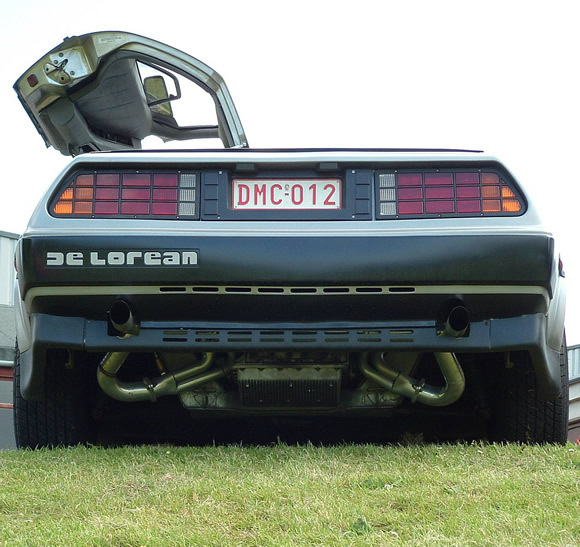 Car photo of exhaust system on a 1982 Delorean DMC-12. Wonder where the Flux Capacitor goes?